What’s all the buzz in the media production community? Spatial Audio! Spatial Audio is audio captured by a special, ambisonic microphone and is processed by audio encoders designed to create a 360 soundscape that interacts with immersive VR/360 experiences. 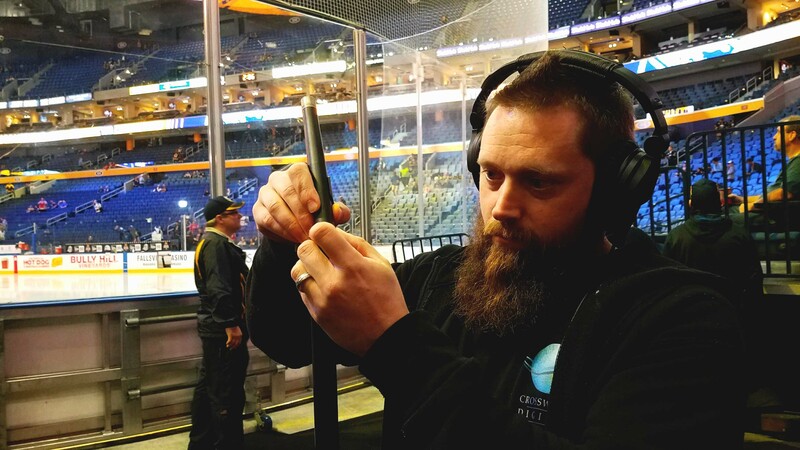 A wide array of ambisonic microphones have been introduced recently, which speaks to the industry’s commitment to spatial audio’s role in enhancing immersive experiences. 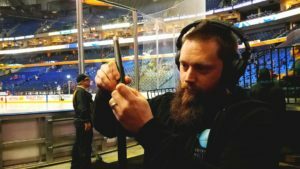 As longtime users of the Ambeo and Hear360 products, Crosswater’s talented immersive VR/360 audio engineers have become very familiar with recording and mixing tactics, and are excited to collaborate on your immersive projects. 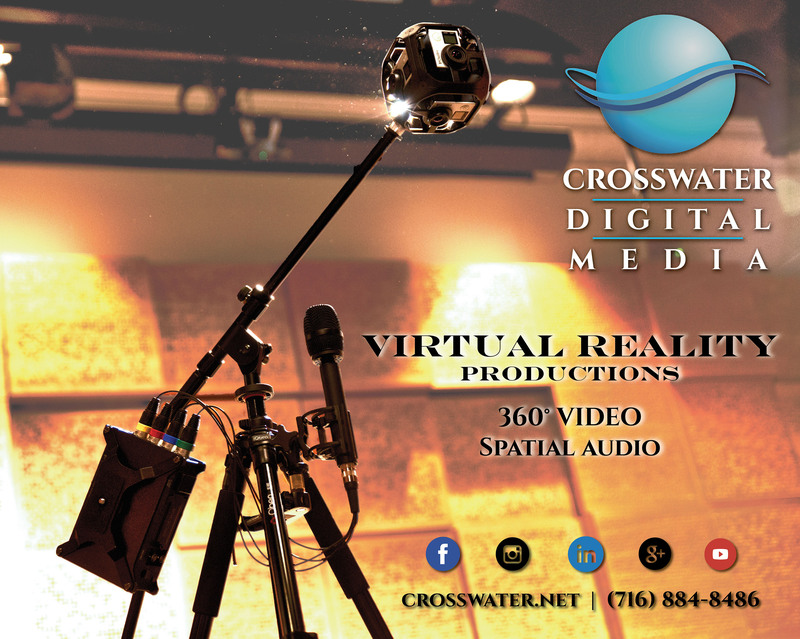 Contact Crosswater at (716) 884-8486, crosswater@crosswater.net, Facebook Messenger, or LinkedIn to learn how VR/360 experiences may be enhanced by spatial audio. Music and a healthy mind go hand-in-hand! 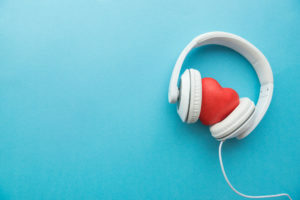 “Research has con­firmed that music has both psy­chological and physiological effects,” according to UC Berkeley’s article about music’s therapeutic value. Crosswater’s co-founder and composer, John Michael Adamo, knows this well, and has been composing music designed to comfort patients suffering from Dementia and Depression for an ongoing project with our Canadian healthcare partners, Primacare Living Solutions. Contact Crosswater at (716) 884-8486, crosswater@crosswater.net, Facebook Messenger, or LinkedIn to learn how the power of music can have profound impacts, and how John may be able to help create the perfect soundscape to fit your specific needs. Get ready to go back in history with Crosswater’s VR/360 producer and avid aviation enthusiast, Dan, as he takes us on his adventure in a B-17 bomber, known as the “Flying Fortress” during WW II. Many thanks to the US Air Force and the Niagara Falls Air Base for allowing us to capture this immersive video, and share it with you. Wear a VR headset and headphones for the most immersive experience! Like, follow and share Crosswater’s Social Media pages to stay connected and be the first to know about our exclusive VR/360 content. Crosswater’s co-founder and composer, John Michael Adamo, did his own Honky-Tonk rendition of the Cellino & Barnes jingle from his studio in our office here in Buffalo. He has written every iteration of the jingle for the last 20+ years. We nominate you! Do your own cover of the iconic jingle on any instrument you’d like and post it to social media. Include the hashtag #cellinoandbarneschallenge to be included with the hundreds of others who have completed the internet challenge. Crosswater’s co-founder and music composition mastermind, John Michael Adamo, wrote the song that you hear in this video. He has written many of the songs that you hear on the web series, One Pot Cooking for Men, and he can put these skills to work to create an audio signature for your project or business. Visit https://crosswater.net/custom-music/ to learn more. Contact us at (716) 884-8486, crosswater@crosswater.net, Facebook Messenger, or LinkedIn to discuss all that John can do.